Training: To become a PA or an NP, one needs to complete six years of combined undergraduate and graduate education. Some complete an additional year of training to specialize in a specific area of medicine. After their training, PAs and NPs must pass a board certification exam prior to entering a practice. They also carry their own malpractice insurance as well as their own license to prescribe medications. Our PAs and NPs have trained on the intricacies of musculoskeletal health for many years. They are highly skilled professionals who exercise autonomy in diagnosing and treating illnesses the same as their physician counterparts. They evaluate and treat more orthopaedic patients in a year than all of the local urgent cares and emergency rooms combined. Hence, they are more experienced in the management of orthopaedic conditions than many non-orthopedic medical doctors. 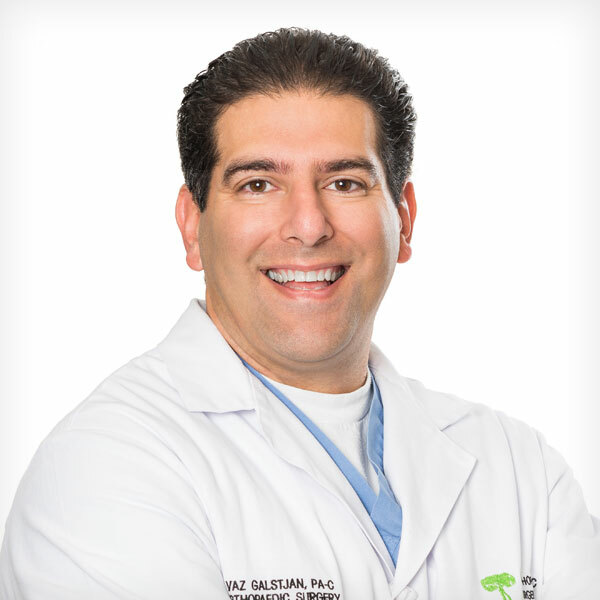 Vaz Galstjan is a Board Certified Physician Assistant (PA-C) in the state of California. He has many years of experience as an Orthopaedic PA starting his career in 2004, as well as many years of experience in the operating room prior to becoming a PA-C. He graduated from Charles Drew University of Medicine and immediately went into the field of orthopaedics where he trained and worked with many orthopaedists in the San Fernando Valley. Mr. Galstjan is a member of California Academy of Physician Assistants and American Academy of Physician Assistants. Omar Duenes is a Board Certified Physician Assistant (PA-C) in the state of California. He completed his undergraduate degree at California State Polytechnic University, Pomona. He then went onto Western University to complete a two-year Masters Degree at Western University, followed by a one-year postgraduate residency program in Orthopaedics at Arrowhead Regional Medical Center. Mr. Duenes received his license as an Orthopaedic PA In 2005. After his training, Mr. Duenes immediately went into the field of orthopedics where he worked with many orthopedic doctors in the Inland Empire. Mr. Duenes is a member of California Academy of Physician Assistants and American Academy of Physician Assistants. 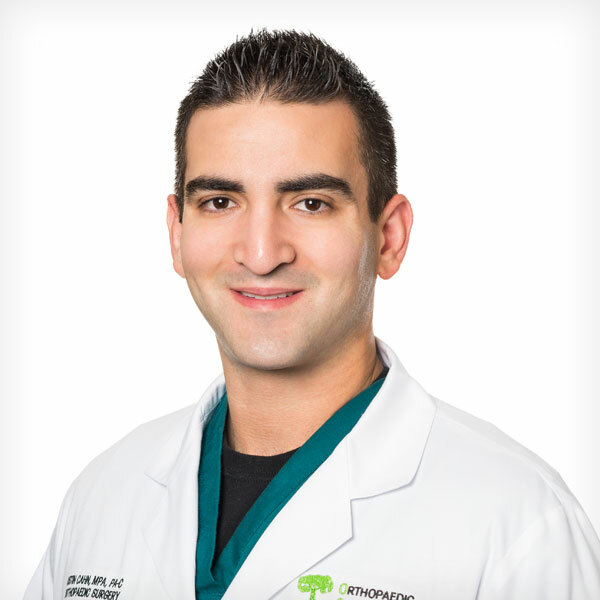 Justin Cahn is a Board Certified Physician Assistant (PA-C) in the state of California. He completed his undergraduate degree in Kinesiology at California State University Northridge. Before completing the PA Masters program at Loma Linda University, Justin worked for two years as a physical therapy aide at the Motion Picture Hospital in Woodlands Hills, where his interest in orthopedics and sports medicine developed. Justin is proud to be a member of the orthopedic team and looks forward to providing quality health care to his community. Justin is a member of California Academy of Physician Assistants and American Academy of Physician Assistants. Aime Del Valle is a Nurse Practioner (NP) who was born and raised in the San Fernando Valley. Ms. Del Valle earned a bachelor's in Sports Medicine from Pepperdine University and a bachelor's of science in Nursing from Azuza Pacific University. 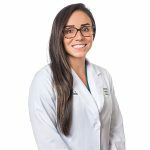 After working for a few years as a nurse, Ms. Del Valle went on to complete a graduate degree at Azuza Pacific University, where she received a Master of Science in Nursing (MSN) with a specialty in family medicine. Ms. Del Valle is excited to join the family of health care providers at Orthopaedic Surgery Specialists. She is a member of the American Nurses Association and speaks fluent Spanish.